Amazing spider-man sticker sheets are perfect for the little or big Spiderman fan in your life. This convenient sticker pack makes and excellent party favor, stocking stuffer, or good behavior reward prize. 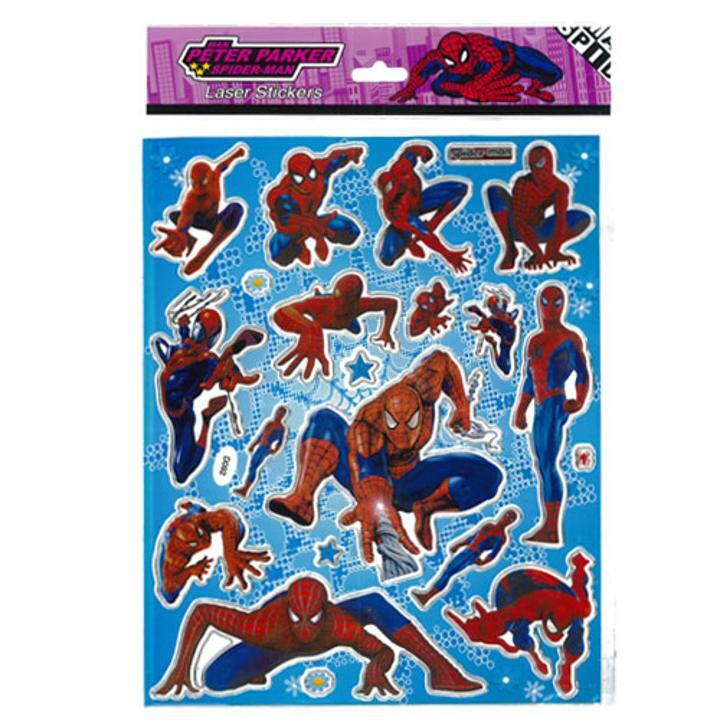 Featuring Spiderman in various action poses, these high quality stickers have both large and small size stickers that are great for personalizing, story boarding and more. 1 sheet contains 19 laser cut silver lined stickers.